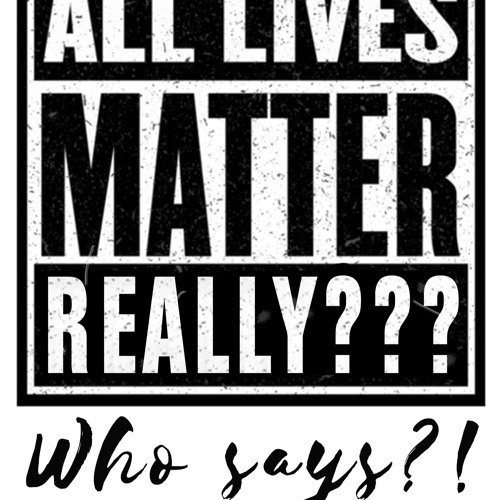 All Lives Matter! Really? Who Says? So if the reason life matters is because God created it, and loves it, and has set in motion a divine conspiracy to save it, what's holding you back from beginning to live with God everyday all day? Users who like All Lives Matter! Really? Who says? Users who reposted All Lives Matter! Really? Who says? Playlists containing All Lives Matter! Really? Who says? More tracks like All Lives Matter! Really? Who says?